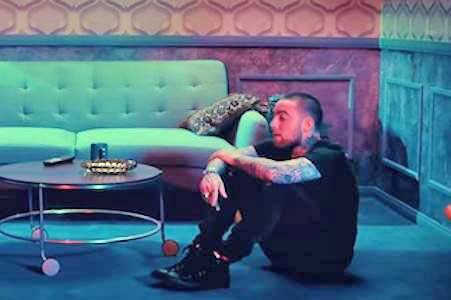 Mac Miller and Ariana Grande have worked together before on her 2013 smash hit “The Way”, but it’s his 2016 track “My Favorite Part” that supposedly started their real life relationship together. That is the feeling conveyed throughout the song and its accompanying music video. Mac wearing a pair of monochrome black chucks. Like most songs on The Divine Feminine, “My Favorite Part” is sung by Miller rather than rapped. Miller gives the crooning act a good try, but as opposed to other songs from the album, it doesn’t really work here. He goes a little overboard with it, and it ends up just being bad. Grande’s vocals are really what make this song. Once she enters and sings in duet with Miller, the song takes on a whole different feeling and it elevates his vocals to a higher level than they are on their own. Miller contemplating what really is his favorite part. The opening shot of the video is an extended stay on a new Fiat. This obvious product placement seems to be all the rage in today’s music videos. Before the song kicks in, the video goes for the silent film style of setting the scene. This makes the beats entrance much more pronounced. The video takes place in a chic boutique hotel, and with its use of mood lighting, it seems that the video is going for an old school, noir vibe. Mac and Ariana enter, and take up residence in two separate rooms right next to each other. Miller proceeds to serenade her through the wall while wearing a pair of monochrome black chucks. She laughs and enjoys his crooning, interjecting with oohs and ahhs. It inexplicably starts raining in their rooms, and they both end up drenched. Miller eventually musters up the courage to knock on Ariana’s door, and the video ends with her pulling him inside. 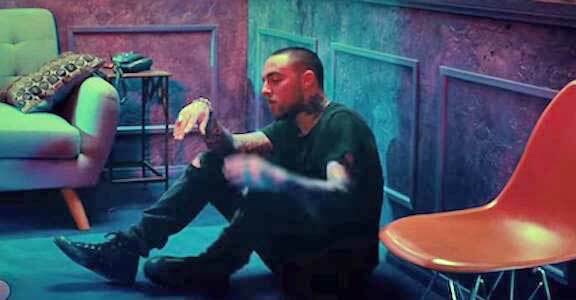 The video really fits the vibe of the song and displays the affection between Mac and Ariana very well. Miller gets up to finally go see Ariana. Get a new pair of chucks to romance in by clicking on the links below.